Gorkha municipality has organized a public hearing at gorkha municipality. 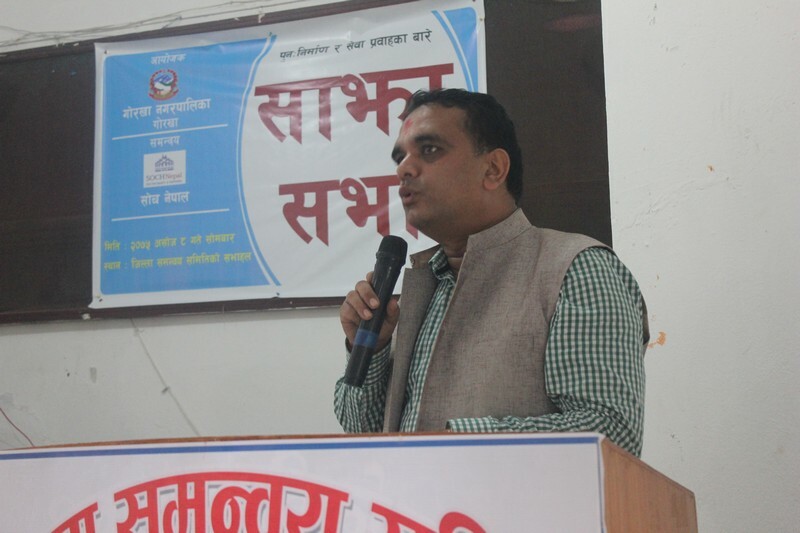 The programme was supported by Soch Nepal. The programme was organized to address any ongoing disputes and problems during reconstruction and to clarify about the services provided by gorkha municipality. The presenties were CAO of gorkha municipality Mrs. Krishna Kumari Shrestha, Officials of Gorkha Municipality, President of Journalist Association Kishor Jung Thapa and other journalists.